The primary role of MPH during disasters is to protect the health and well-being of those affected. In natural disasters such as tornadoes, storms, and power outages, protecting the health of affected individuals usually involves: inspecting public shelters to ensure food safety and proper sanitation; advising officials on the need for evacuation and when it is safe to return home; ensuring the safety of the water supply; inspecting restaurants and other facilities to ensure they are safe to reopen; and assessing the impact of the disaster on the environment. In all of these situations, MPH’s goal is to make sure that the disaster situation is not worsened due to unsafe conditions that cause people to get sick during the recovery phase of the incident. In public health emergencies, such as communicable disease outbreaks or biological or chemical releases, the health department serves as a leader in the response and has a much larger responsibility throughout the entire response. For instance, public health may provide medication or vaccination to the populations exposed to pandemic influenza, anthrax release, or other biological releases. The health department also conducts medical surveillance and lab testing to determine the extent of the outbreak. In addition, the health department actively seeks to mitigate the effects of the outbreak by educating the public on how to minimize the spread of the disease or protect themselves from exposure. If the health department needs to provide medication or vaccination to the entire population (or to an exposed segment of the population), then they will stand up a mass clinic. The affected public will be asked to report to the clinic to receive medication in an organized way, such as alphabetically by last name or according to voting district. Once at the clinic, individuals must complete health history forms, which will be used to determine whether they are eligible for the medications and to track medications dispensed. You can save yourself time by filling out the form and keeping it with your emergency kit. Bring the form with you to the clinic to bypass part of the registration process. These forms are called NAPH (Name, Address, Phone Number and Health History) forms. A one page and three page form is available. The one-page form will be used by healthy individuals. The three page form should be used by people with medical conditions because it captures more information about the medical condition to help the health department determine whether you are eligible to receive the medication. As with all emergencies, please visit local media outlets for important information regarding public health emergencies. Specific instructions on where and when to receive medication, exposure prevention strategies, and other important information will be broadcast on local radio stations, published in the local newspaper, and updated on our website. The more prepared you are before a disaster strikes, the more you will be able to combat the effects of that disaster on your family. Please click here for more information on family disaster planning. If you or a loved one has special needs, it is vitally important that you plan for how you will respond during a disaster. Your emergency supplies kit becomes even more important, as it contains medical supplies that may be essential to your survival. Planning now for how you will evacuate your home and where you will go will make a huge difference when the time comes. While public shelters will be available during the disaster, they will not have the comforts of home and should be seen as an option of last resort. Instead, try to identify friends or family members that you could stay with if you are evacuated from your home. For more information on disaster preparedness for people with special needs, please visit Special Needs Planning. Are you interested in volunteering in the event of a disaster or public health crisis? We need YOU – no special credentials required! 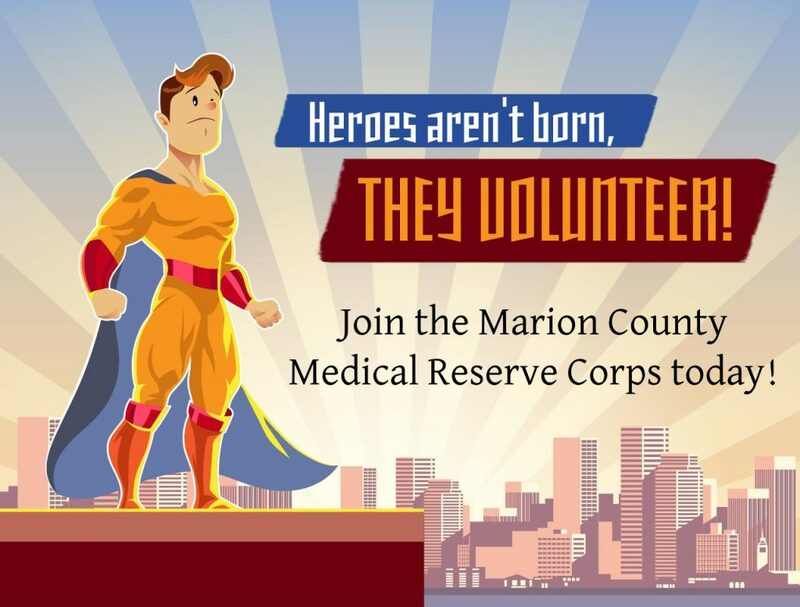 Volunteers can serve in a variety of ways, from helping prepare for and respond to large-scale emergencies, to engaging in public health initiatives that work to improve the overall health and well being of the community.